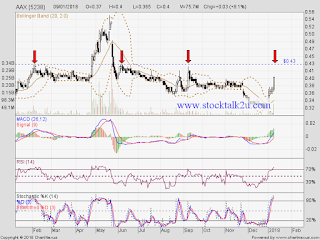 AAX (5238) retest RM0.43 resistance level? Will it breakout this strong resistance? MACD moving toward positive region, uptrend sign. Stochastic %K on BUY call. 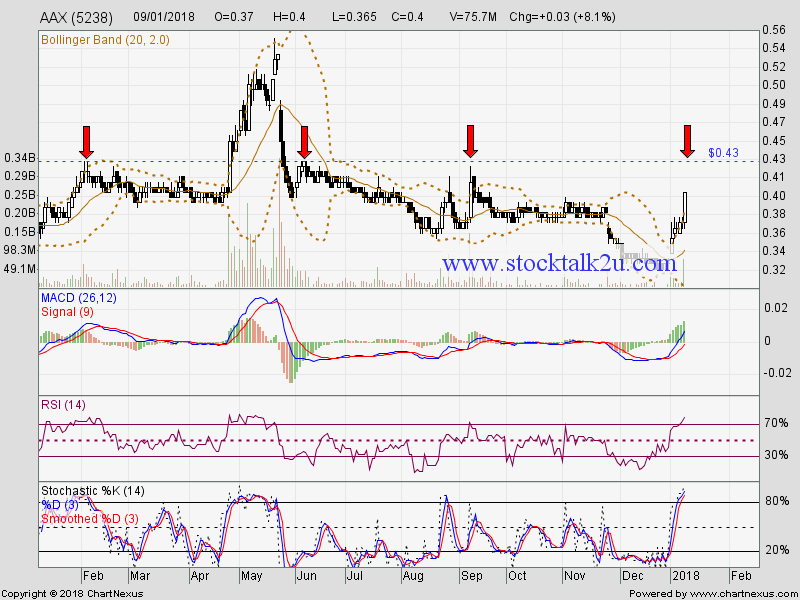 Immediate resistance @ RM0.48 level. Subsequent resistance @ RM0.51 level. Immediate support @ RM0.37 level. Subsequent support @ RM0.34 level.